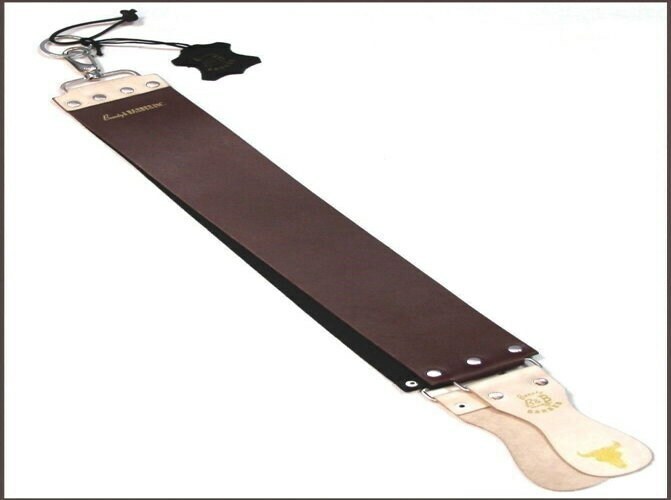 This strop consists of two separate stropping belts, Primary is made out of authentic cowhide leather and secondary is made with canvas webbing. Both belts are significantly important to get a proper edge on your razor or knife, Leather helps deburring the edge of razor and webbing provides even finer medium to nearly polish the edge to give smooth shave. The width of this strop is 3.45" which is ideal for any straight razor since it accommodates the full blade of straight razor for sharpening. Total Working Area Length : 19 " x 3,45"